Post for yourself, or on behalf of someone else! * Spread the word! Twitter messages must not exceed 140 characters. ? Posts that include photos/images get more attention. Encourage interaction. Ask questions in your posts. Don’t always be talking AT your audience. Be sure to thank donors via social media as donations come in. It’s a nice way to acknowledge the donor, but also remind others that they haven’t donated yet. Simply customize the highlighted sections with your event details/personal info and then cut and paste into your social media outlets! Today is the day! 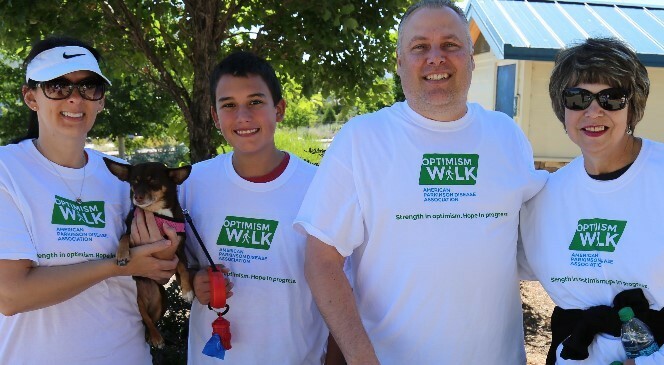 I will join hundreds of others who care about Parkinson’s disease at the (city) Optimism Walk. It’s not too late to show your support with a donation (include link to your donation page) Every dollar makes a difference!